For information about Worker Safety During Cleanup and Recovery from Hurricanes, click here. A major disaster declaration due to Hurricane Florence was issued by FEMA on September 14th for portions of North Carolina. On September 16th, a major disaster declaration was issued for portions of South Carolina. North Carolina: On September 14th, a major disaster declaration was issued by FEMA designating the following counties for individual disaster assistance: Beaufort, Bladen, Brunswick, Carteret, Columbus, Craven, Cumberland, Duplin, Harnett, Jones, Lenoir, New Hanover, Onslow, Pamlico, Pender, Robeson, Sampson, and Wayne counties. On September 18th, North Carolina’s Department of Employment Security announced the availability of DUA benefits in those counties. On September 25th, North Carolina’s Department of Employment Security announced the availability of DUA benefits in nine more counties: Hoke, Hyde, Johnston, Lee, Moore, Pitt, Richmond, Scotland, and Wilson counties. On September 26th, the department announced the availability of DUA benefits in Greene County. As of October 18th, the deadline for filing DUA applications in each of the 28 counties listed above is extended to October 31st. On October 15th, the department announced the availability of DUA benefits in Anson, Union, and Orange counties, and that DUA applications in those counties are due by November 14th. 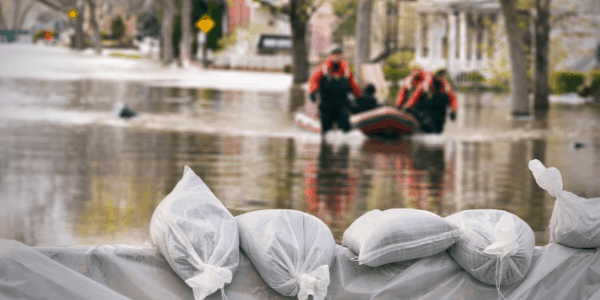 South Carolina: On September 16th, a major disaster declaration was issued by FEMA designating the following counties for individual disaster assistance: Dillon, Horry, Marion, and Marlboro counties. On September 24th, South Carolina’s Department of Employment and Workforce announced the availability of DUA benefits in the designated counties, and that DUA applications in those counties are due by October 24th. On September 25th, South Carolina’s Department of Employment and Workforce announced the availability of DUA benefits in Chesterfield County, and that DUA applications in that county are due by October 25th. On September 26th, the department announced the availability of DUA benefits in Georgetown County, where DUA applications are due by October 26th. On October 3rd, the department announced the availability of DUA benefits in Darlington and Florence counties, where DUA applications are due by November 2nd. In addition, workers may collect DUA if they have reached the end of their regular state UI benefits and are still unemployed as a direct result of the disaster. In North Carolina, benefits for regular state UI benefits run out after 12 weeks. In South Carolina, regular state UI benefits run out after 20 weeks. Each state may process DUA somewhat differently. Most states will process applications by telephone, as part of their automated claims-taking process for regular state UI benefits, and online via the Internet. In North Carolina, workers and business owners are instructed to first file for regular state UI, and if found ineligible, then file for DUA. Applications can be taken on-line at the website address listed below, or by phone at 866-795-8877 (from 8 a.m. to 5 p.m.). Individuals can also email the state UI agency with questions at des@dua.nccommerce.com. In South Carolina, workers and business owners are instructed to first file for regular state UI, and if found ineligible, then file for DUA. Applications can be taken on-line at the website address listed below, or by phone at 866-831-1724. For the latest information on how to file for either DUA as a result of Hurricane Florence, or for regular state UI benefits, we recommend that individuals regularly check the state unemployment insurance agency websites listed below. Yes, many farmworkers may be eligible for state unemployment benefits. In North Carolina and South Carolina, agricultural employers who have more than 10 workers employed at least one day a week over a period of 20 weeks, or paid $20,000 in wages in a calendar quarter in the last year must cover their workers. If a farmworker does not qualify for state unemployment insurance (UI) benefits due to failing to meet the state UI earnings requirement, the farmworker may qualify for Disaster Unemployment Assistance (DUA). What Additional Services and Resources Are Available to Workers and Families Impacted by Hurricane Florence? In addition to DUA, the federal government is funding a range of services for workers and families impacted by Hurricane Florence.